It’s been a joy to get these done. It shows off my work in an uncluttered, zen-like way. 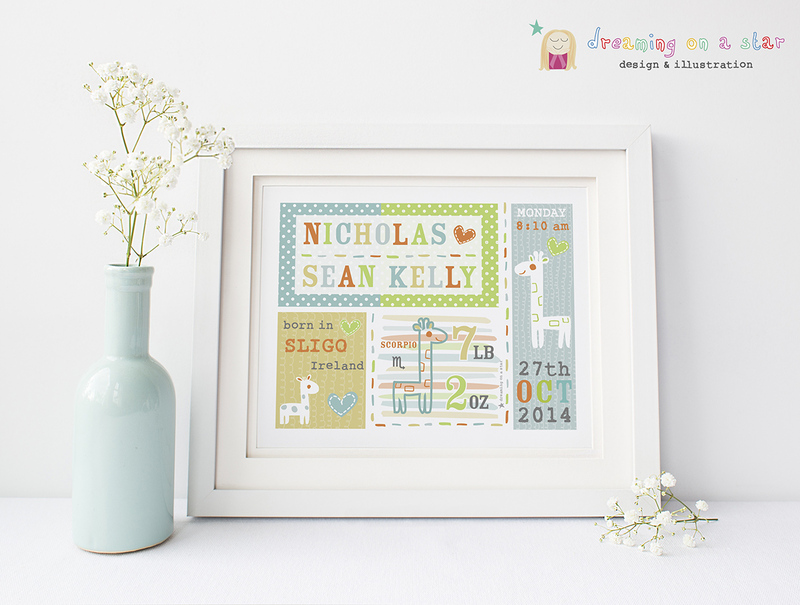 This is a brand new New Baby Personalised Print. 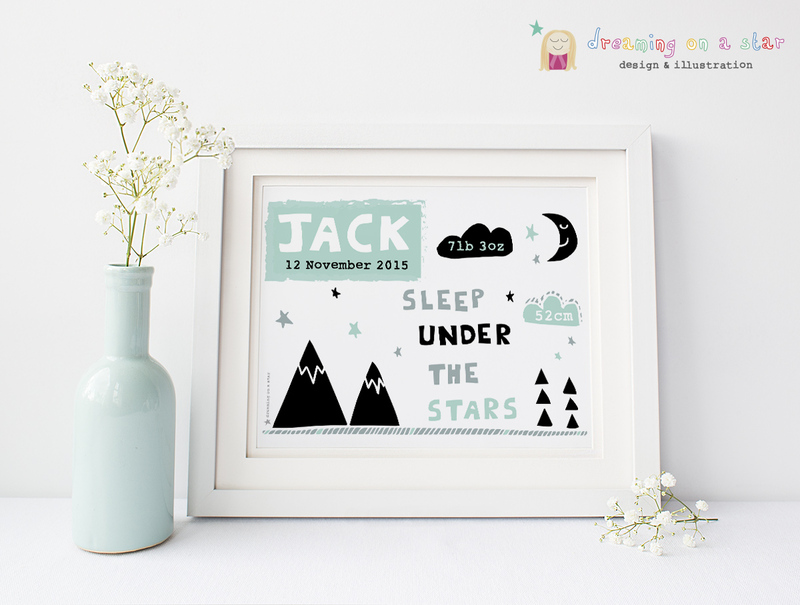 I wanted to create something very modern using Black & White but also keeping it soft for a nursery and adding a lovely quote, “Sleep Under the Stars”. I was thinking of all the new babies, sleeping and dreaming of wonderful things! A little bit like me – dreaming on a star! This is a Grandparent Family Tree. The Grandparent-Grandchild relationship is such a beautiful connection. Parenting nowadays can be very stressful but life at Granny & Grandad’s house is so happy and carefree! I’ve witnessed this myself when my own parents became grandparents – the joy and love they give and receive from the little people in their lives is wonderful. 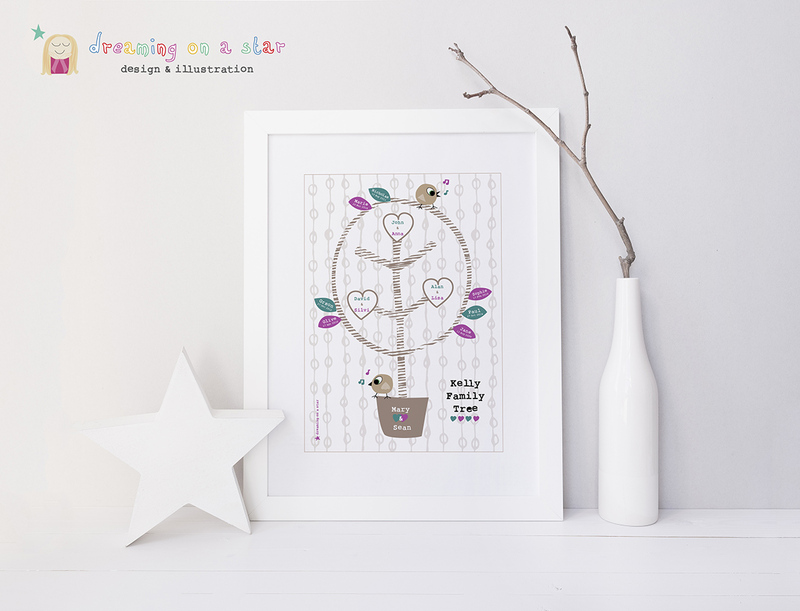 The Grandparent Family Tree is a lovely gift for Grandparents as they can see for themselves the legacy they’ve created. 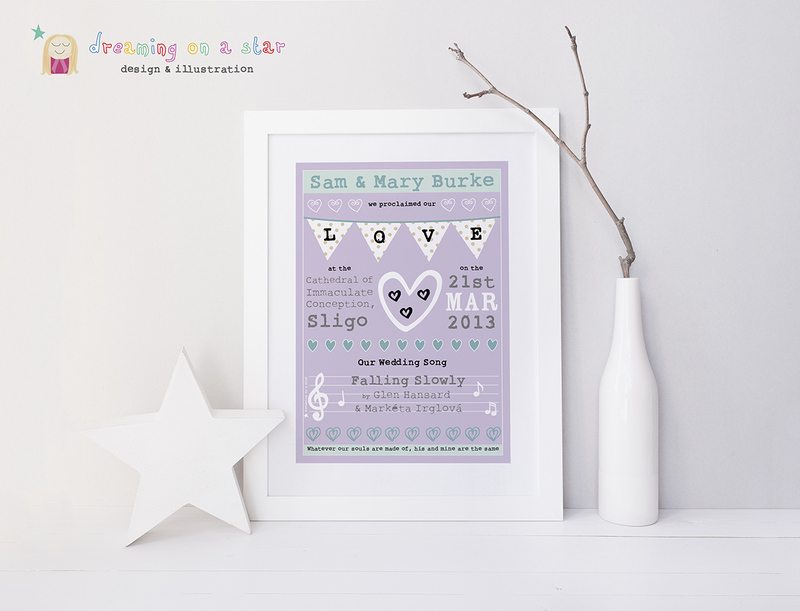 I am a big music fan so I created this Wedding Picture to include the Wedding Song. I love finding out the couple’s song. 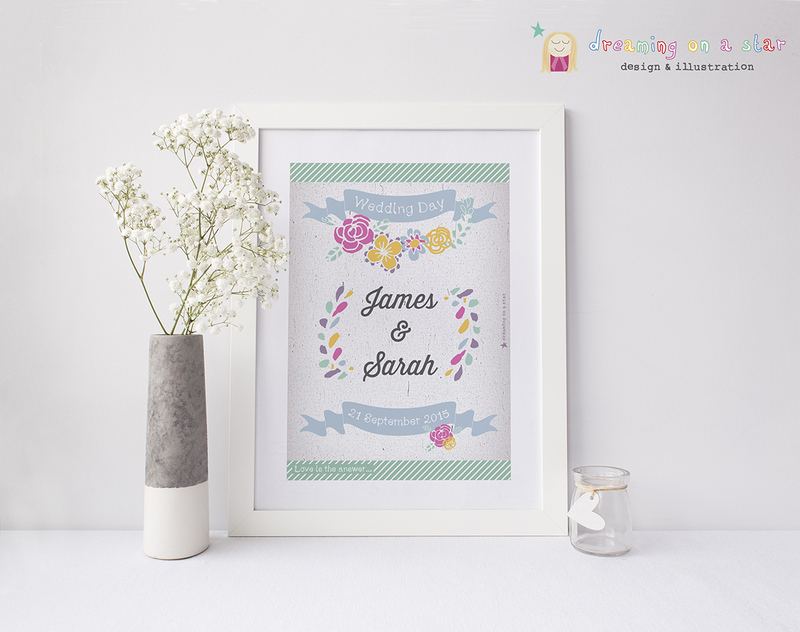 The quote, “Whatever our souls are made of, his and mine are the same” is by Emily Brontë. I love adding quotes to my work. 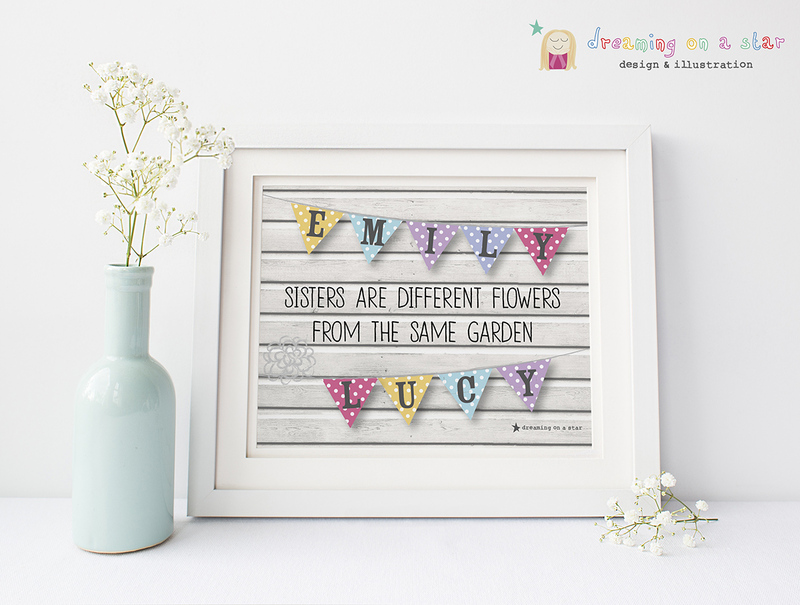 This is a popular picture for sisters (also available for brothers and sisters & brothers). I actually made this for children but a lot of adults buy it for their adult siblings. This is just some of the Personalised Pictures by Dreaming on a Star (More here in my Online Shop) ♡.